We all had that teacher. You know the one we’re talking about. The one that changed our lives. The professor that gave us new insight into a particular subject, formula, time period. When we are children, our teachers are the adults we spend the most time with after our own parents. No wonder so much concern is spent on the state of education. But now we’re worried for many of these teachers, thanks to the news that someone has created a liberal professor watch list. Despite all the strides we’ve made in education, a process that’s been of special interest to Michelle Obama, it seems we might be taking a step back in time. We are not amused. Nor are we taking this lightly. As Slate noted, this might not normally be taken so seriously. But remember, many of the men coming in to power are making some pretty scary claims. Some, for example, compare Japanese internment camps to what they want to do with Muslims. We must give this new list attention. The future freedom of education might depend on it. Yikes. 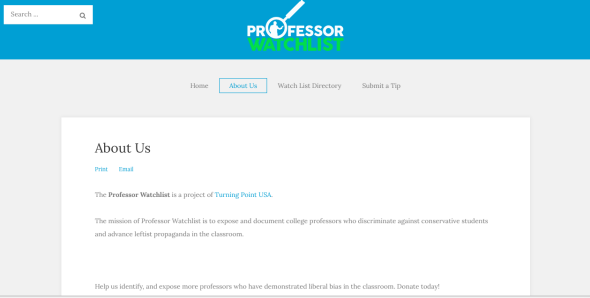 The website also has a place where visitors can “submit a tip” about left-leaning teachers. "...It is even more ironic that the list would label me 'anti-American.' 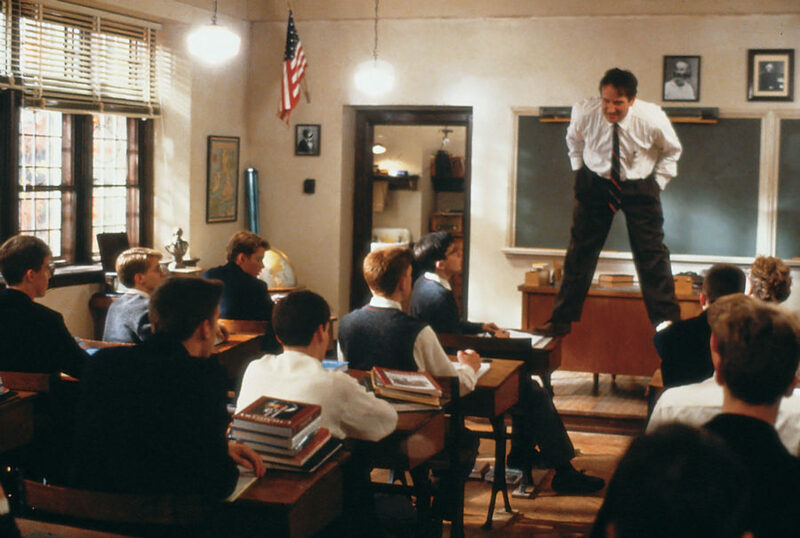 In fact, I do what I do – all the teaching, writing, speeches, and media – because I love America. I am staunchly committed to the principle of human self-determination, and have come to believe that American democracy is the form of government that comes closest to bringing that principle to reality." We highly recommend you read the rest of her thoughtful response. Now, the creator of the website claims he did not create the site to “intimidate” teachers, though that does seem to be at least a byproduct. Yet, many people who are upset about the list does not want the site taken down. After all, that would be censorship. And if there are biases happening in education, it could certainly be worthwhile (assuming, of course, you could even label a “bias” differently from, say, “an opinion you don’t like” because there is a major difference). We hope others listen to all the issues that have come up as a result of this troubling site and realize that even when trying to do good, bad things can—and do—happen.